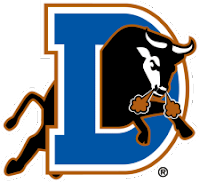 The Durham Bulls were 4-3 on the week and are now 59-40 on the season. They still maintain a commanding lead on the division, leading Charlotte by nine games. Dan Johnson is setting the pace offensively with a sizable lead in home runs and RBI’s amongst the rest of the International League’s hitters. Transactions: Omar Luna activated from inactive list (7/23/10). Alvin Colina added to 7-day disabled list (7/23/10). The Week Ahead: 7/24/10-7/26/10: vs Syracuse Chiefs (54-46). 7/27/10-7/30/10: at Lehigh Valley Iron Pigs (42-58). Colina may be out for the year, according to a comment last night.